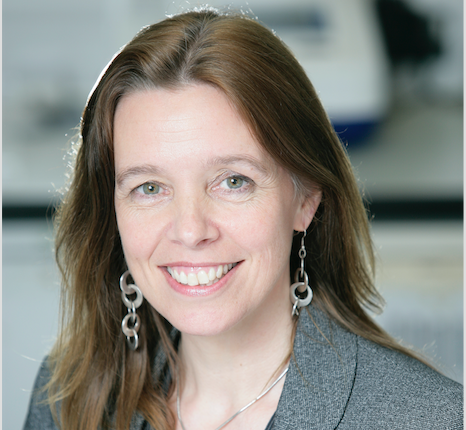 Caroline Barelle is the Chief Executive Officer and Chief Scientific Officer of Scottish based biotechnology company, Elasmogen. In 2018 she won the Scottish Life Sciences Award for Rising Star – Extraordinary Talent, Entrepreneurial Scotland’s Summit Award for Academic Entrepreneur of the Year and Most Innovative Company at BioFit2018’s Start-up Slam. Elasmogen Ltd itself is a next generation therapeutic biologics company developing small antibody-like drugs called soloMERs to treat autoimmune, inflammatory diseases and cancer. We asked Caroline our 3 Leadership questions to get some insight into her approach to running a company and leading them to this success. What is the most important principle you keep front of mind or fall back on when leading your organisation? I value people. We are a small team and we are in this together so being transparent, being inclusive and giving credit where credit is due is very important to me. We have created a great organisational culture where we work incredibly hard but not a day goes by when we don’t laugh and that means a huge amount to me. My mission is to retain this kind of working environment as we grow and expand as a company. What has been your toughest leadership challenge and what behaviours or approach enabled you to overcome this? The toughest leadership challenge, which I suspect is commonplace for anyone running a small company, was prioritising my time between many diverse tasks. When we first spun the company out I was thrown into a world of many “new things” in addition to leading the science – dealing with finances, legal docs, HR related activities, corporate strategy, business development, insurance, health and safety policy……..the list goes on. This was incredibly challenging but not unexpected as were the long hours, but thinking I could do it all myself was quite simply madness. I needed to let go and for me the key to dealing with this was to surround myself with a great team who stepped in, stepped up, and provided me with support. I am incredibly fortunate to have such an exceptional science, operations and corporate team around me that enables me to do what I need to which is to focus on bringing investment and new business partnerships into the company. Which resources, people and tools have been most valuable to you as a leader in Life Sciences based in Scotland? Being located in Scotland has not only benefited the company, but also me as a first-time CEO of new biotech. From the onset, it was support from Scottish Enterprise and the University of Aberdeen that enabled us to spin the company out, support that has continued as Elasmogen has grown. Aberdeen has a rich history in biologics expertise that continues to grow and it’s great to be part of that culture particularly now when we have initiatives like Opportunity North East (ONE) supporting this sector and helping it to flourish. Personally, I have benefited from being part of competitions like the Converge Challenge which was invaluable at the early stages of company creation as it provided exceptional support and expertise when devising the business model. Last but by no means least is the collegiate nature of life sciences in Scotland. We have great companies lead by fantastic people who actively help each other – we all work hard but when we get together we all have great fun! You can get more insight about leadership styles, funding competitions, investment opportunities and networking events by following Life Sciences Scotland on Twitter or LinkedIn. Alternatively you can sign up for the newsletter and we’ll deliver the articles to you on a monthly basis.